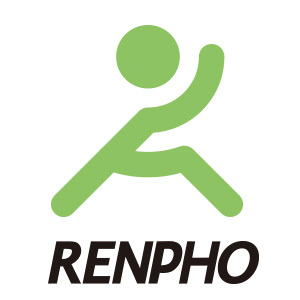 Syncs with your favorite fitness apps, RENPHO app feeds data to Apple Health, Google Fit, or Fitbit App! 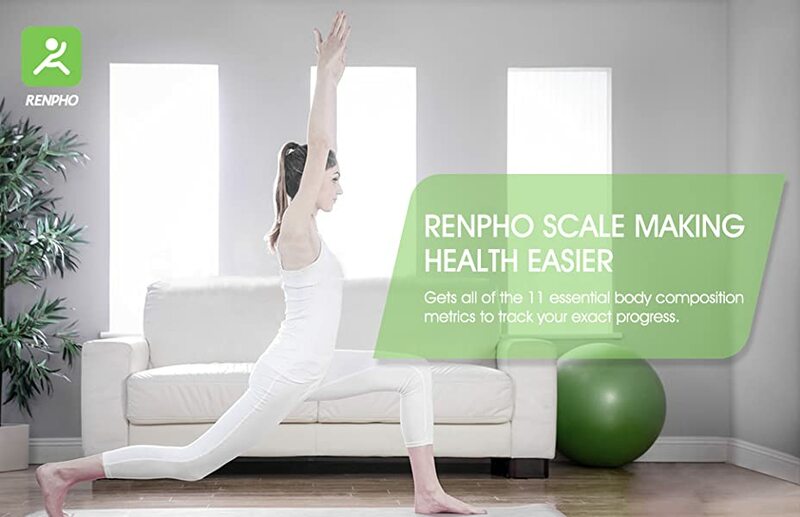 The RENPHO Smart Scale is equipped with four high-precision sensors and four electrodes to ensure a quick and accurate body composition analysis. Surface is made of 5 mm tempered glass; bottom is made of quality ABS plastic. 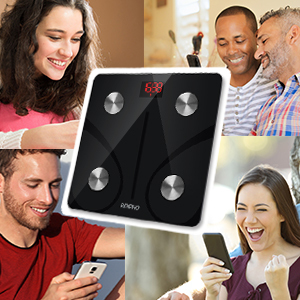 The RENPHO Smart Scale has a simple, sleek and modern design. It comes in a classic black color, which makes it fit perfectly into any bathroom or bedroom! 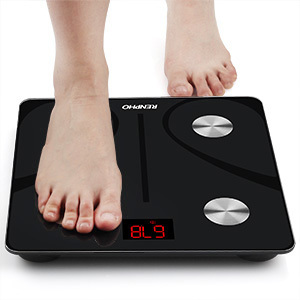 Place scale on a hard, flat floor. Avoid any carpet. 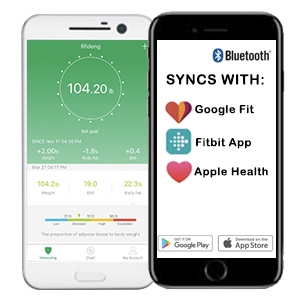 Enable Bluetooth on your smart phone. For Android 6.0+, you must turn on location. Your feet should be dry and bare and be touching all 4 electrode areas. Enter actual personal information before use. Measurements should only be used for references. For medical purposes, consult a medical professional. Not intended for use by professional athletes. 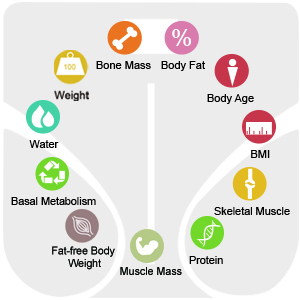 Body fat percentage measurements intended for users between 10 and 80-years-old.